Insulating your property is an important step into creating an energy efficient and comfortable environment for your family or employees and clients. In business since 2006, Green Comfort Home Energy Solutions can provide you with the solutions you need to keep the temperatures at desired levels and your utility bills low. 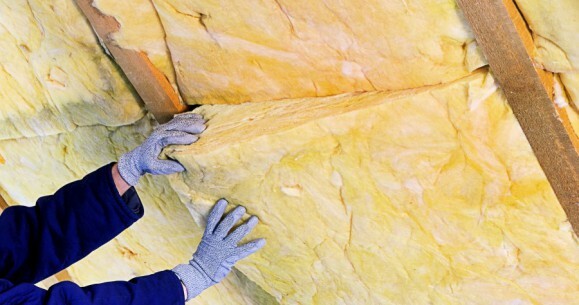 Attic Insulation – Your roof only provides so much protection on its own from thermal transfer. During the summer months, heat can seep into your attic and rise to temperatures of up to 130 degrees Fahrenheit. This can heat up your entire home. In the winter, the warmed air from your HVAC system will rise to escape to the cool outdoors. Both cases can be prevented by smart, strategic insulation. Basement Insulation – Heat naturally moves to cooler places, so your basement, which is surrounded by the cold soil, is a popular destination. Because so many basements are left unfinished and used only for storage, it is common to see them without insulation. But the amount of thermal loss that can happen down there is huge and can be costing you a lot of money on your energy bill. 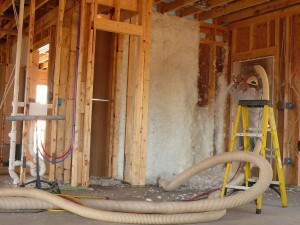 Some types of insulation can also help protect from common moisture issues found in basements and cellars. We provide a selection of insulation products that can be used individually or in combinations to provide our clients with a high quality thermal barrier at a price they can afford. Our team can perform an energy audit to determine the particular needs of your property and make a recommendation based on your budget. Proven to be a safe and effective product that can save you up to 40 percent on your utility bill. Read more..
Keeping costs down is a pertinent part of business management. So, as a responsible business owner, you cannot afford to be wasting money each month on a huge energy bill due to thermal loss. Whether you are in the construction process now or need a retrofit, we can upgrade your property with commercial insulation to perform efficiently through all the seasons. This can help create a healthier, more comfortable and productive work environment for you and your employees. Our goal is to provide our clients with the most affordable and effective home energy solutions available. We can advise you on your insulation, as well as other areas like windows and doors that could be upgraded to provide better thermal protection. With our free onsite consultation and estimate, you can see just how affordable of an investment insulation can be. 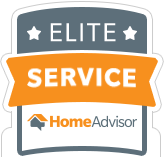 We can even advise you on state and federal tax credits and rebates. Contact us today to make your property a more comfortable place. We proudly provide home energy solutions in Fairfield, Westchester, Litchfield and all of the surrounding communities.